Hey there creative person! I’m so glad you’ve found this space where I teach my online courses. To read more about each course & find details on how to join click the individual titles. If you have already signed up for a course, make sure you are logged in and simply click the title of the course to access it. I look forward to creating art with you! Short Workshop (FREE!) An art journaling workshop with elements about colour theory and understanding your own creativity. A great free introduction to sample my teaching style. Mini Course A self paced course in which you will learn to make playful watercolour flowers, dreamy watercolour portraits and combining your watercolours with mixed media. Short Workshop An abstract landscape workshop in which you learn to mix your own colours with acrylics and paint colourful abstract landscapes. Suitable for beginners. Short Workshop Exploring the female face in the work of Tamara de Lempicka. In this workshop you will learn how to approach studying an existing artist and how to incorporate their style into your own work. Short Workshop A short art journaling workshop with a summery theme. An affordable introduction to art journaling with limited supplies & drawing a front facing portrait. Short Workshop A short art journaling workshop about exploring feelings through art. An affordable way into raw art journaling with limited supplies & using watercolours in a journal. Short Workshop A portrait workshop in which you will learn to research, draw & paint a three-quarter face in acrylics. Suitable for beginners. 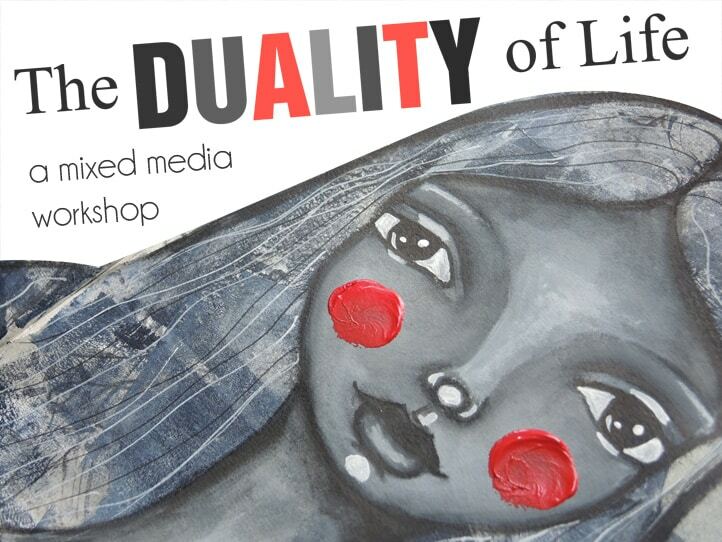 Short Workshop A short mixed media workshop exploring the shades of gray in life & art. Great as an affordable guided way into art journaling & drawing a front facing portrait. In-Depth Course The ultimate course if you want to get into art journaling! In this in-depth 7 week course you will learn to create a simple journal and fill it with beautiful personal imagery. Follow along with step-by-step video & PDF materials, increase your confidence & complete your own art journal. 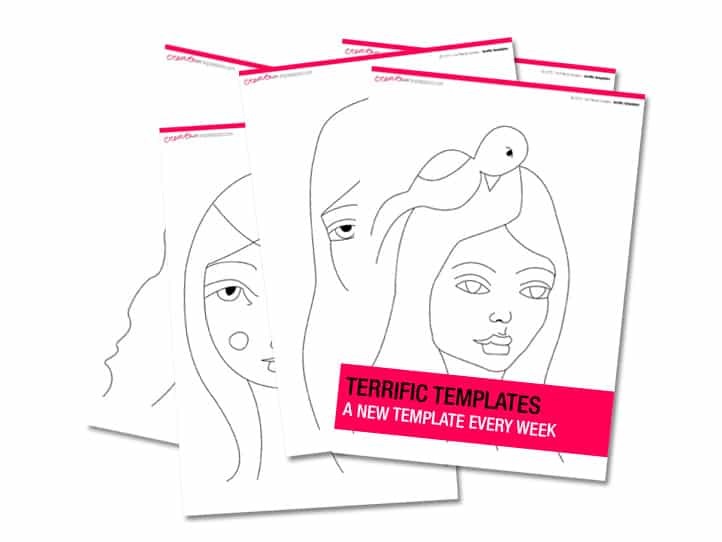 Download Terrific Templates is perfect if you love making art but feel intimidated by drawing faces! 21 unique templates for you to download and use in your art.